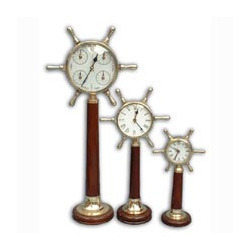 With rich industry experience and knowledge, we are manufacturing, trading, wholesaling and supplying a qualitative range of Wind Mill Clocks that are extensively are demanded in offices, households, etc. Fabricated with high precision, these clocks are manufactured using the finest quality raw material and advanced techniques. All clocks can display the same, accurate, legal time. Digi-future digital clocks are specifically designed for applications where precision and reliability are of utmost importance. These clocks may be used as accurate stand-alone time displays. They can also be synchronized so that all clocks display the same time. 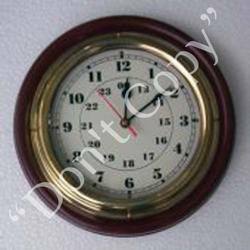 With the help of our expert team, we are procuring and supplying a wide range of Ajanta Wall Clocks. We offer these wall clocks in different shapes and colours, to cater to the various need and demands of our eminent customers spread across Delhi and NCR region. These wall clocks have gained huge applications because of its elegant finish, precision time keeping and longer operational life. We are manufacturing wide range of Precision Clocks . We offer a wide range of precision clocks that are very popular for their precision engineering features. Available with us is Day & Night watch for our customers, which is designed using latest technology. These watches are capable of showing the exact time of the town you are in. Our range of watches have long service life and are used in Shopping Complex, Corporate Offices, Industries, Markets and many other places.